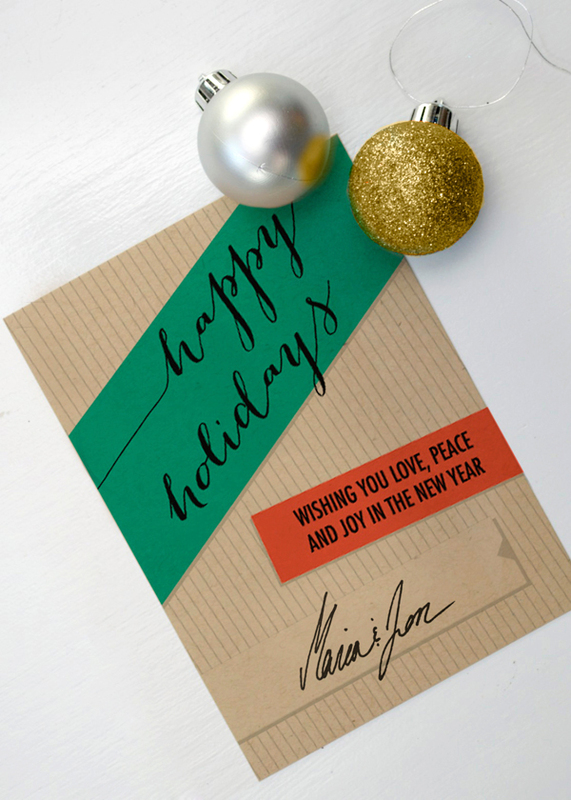 Here's a free holiday card printable for you to send to your family and friends. Just print, sign and send! 1. Buy card stock in the A6 size (4.5 by 6.25) and envelopes. We used these beautiful paper bag cards from Paper Source.